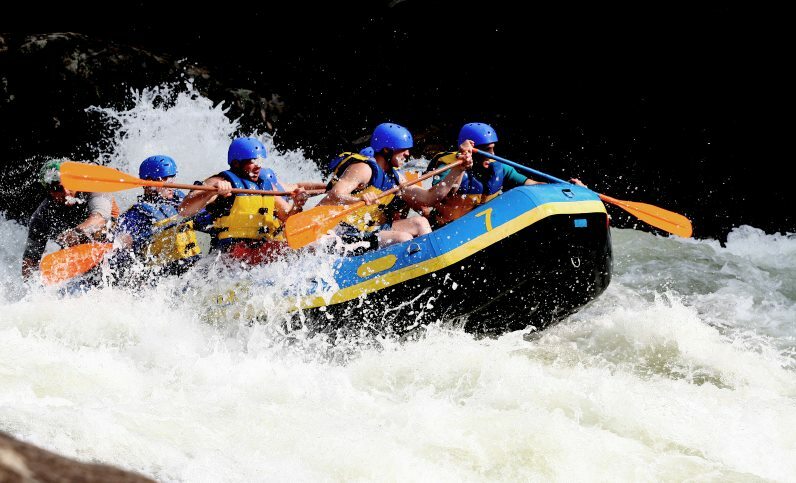 Zanskar River, Ladakh and Rishikesh are the best destinations for white water rafting in India. 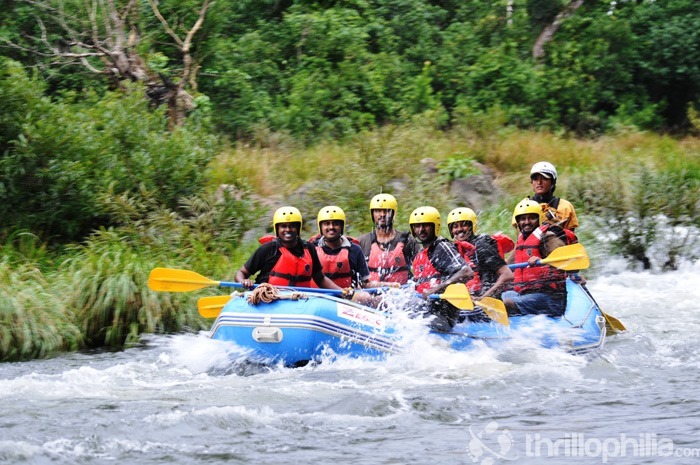 Himachal Pradesh and Sikkim are also equally challenging white water rafting spots in India. On the other hand, kayaking in rivers like Zanskar, Kali, Brahmaputra, Subansiri as well as Ganges is equally an enjoyable experience. Imagine soaring high into the blue skies! Paragliding is one of the top adventure activities in India. 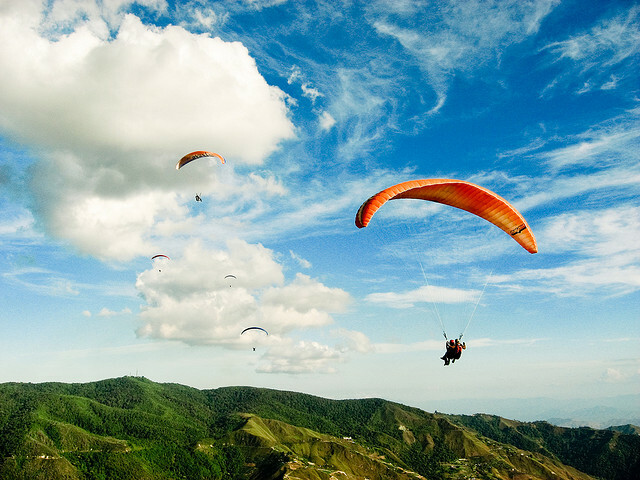 For thrill seekers, who want to fly high and conquer the skies, paragliding tours are some of the best adventure sport tours in India.The thirst for a clear-blue sky, the experience of viewing landscapes from the cliffs can only be quenched by a paragliding ride. Admiring the beauty of sunrise and sunset while flying in the sky is an everlasting dream of every nature lover. And, India offers innumerable destinations for an enchanting paragliding adventure. The hayfields of Kangra Valley in Himachal Pradesh; the dreamlike and magical atmosphere of Manali; the natural ambience of Kumaon region in Uttaranchal; the blissful balance of nature in Nandi Hills in Bangalore; or the splendid beauty of Pavana Lake in Kamshet can only be experienced through paragliding. India is home to some esoteric mountain cliffs. And, conquering these peaks has become a popular adventure sport in India. Ranging from short, long and easy to difficult trekking, India offers some of the best destinations for all kinds of trekking. The Himalayan range offers some of the most challenging treks in India while the hilly regions of Ooty, Coorg, Kerala and Munnar are ideal for medium trekking levels. 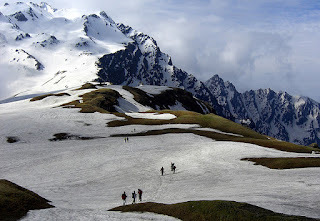 Other popular trekking destinations are Himachal Pradesh, Zanskar, Darjeeling, Sikkim, Ladakh, Meghalaya and Coorg. Inhospitable conditions, rough terrains, bone-chilling climate and extreme difficulty are an inevitable part of trekking. But for trekkers, these conditions are the best ways to explore life at higher altitude. They offer the chance of discovering the untouched beauty of nature. Adventure activities in India would never be complete without a motorcycle trip. 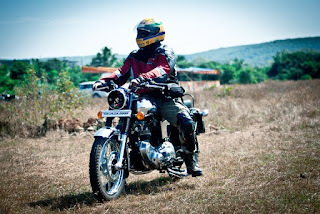 Gearing up for a motorcycle tour along the various terrains is meant for passionate bikers. Motorcycling tours in India are an experience of a lifetime and are fast becoming the most popular types of adventure tour in India. 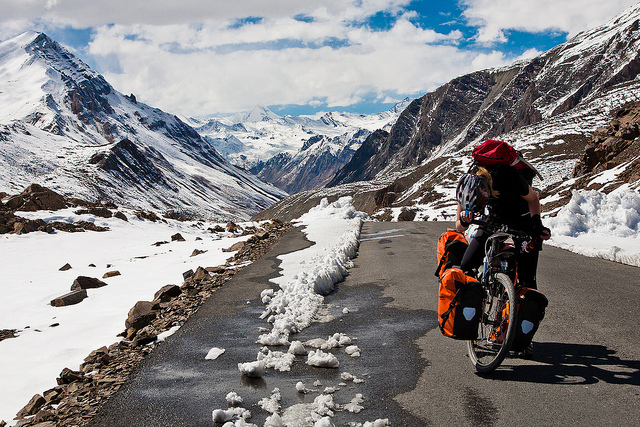 Rocky passes of Ladakh and Leh valley are the exciting tours for mountain biking in India or probably in the world. While crossing the deserts of Rajasthan, the scorching heat will undoubtedly make the tour challenging. 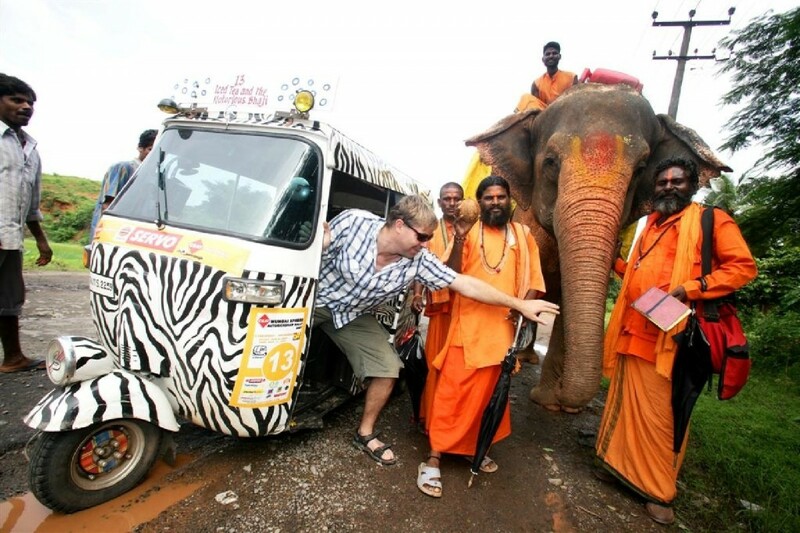 While on a motorcycle tour in India, you can also experience various cultures. Experiencing different colors of the various Indian cultures attract thousands of motorcyclists to India and the number is constantly increasing. Bungee jumping is one of the fastest growing adventure activities in India. The thrill of falling freely from a height of more than 100 feet cannot be replaced by any other experience. 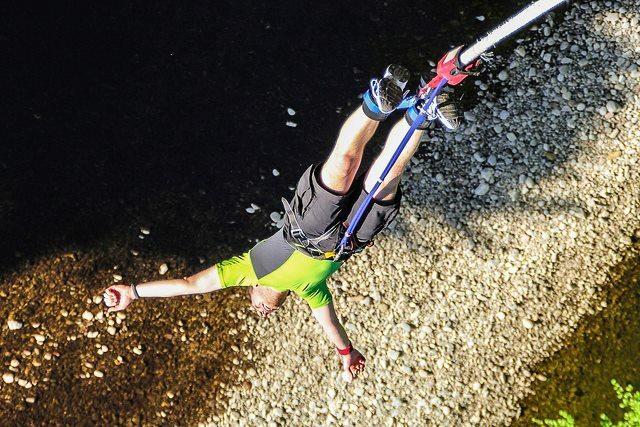 The trend of bungee jumping is growing in India and several bungee jumping camps are offering people a chance to experience adventure like no one else. Rishikesh is the best place to cater to the exhilarating experience of bungee jumping. Alongside bungee, these camps also offer the option of swinging and flying-fox. However, care should be taken while going for bungee jumping, flying-fox or swinging. Before getting involved in any of these adventure activities, it is wise to consult a physician and obtain a medical certificate. Indian coastlines are ideal for all water sports. Adventure lies in every corner of these coastlines. For a water sports lover, India is becoming one of the top hot spots in the world. In fact, India is the best water sports destination in the entire Southeast Asia. 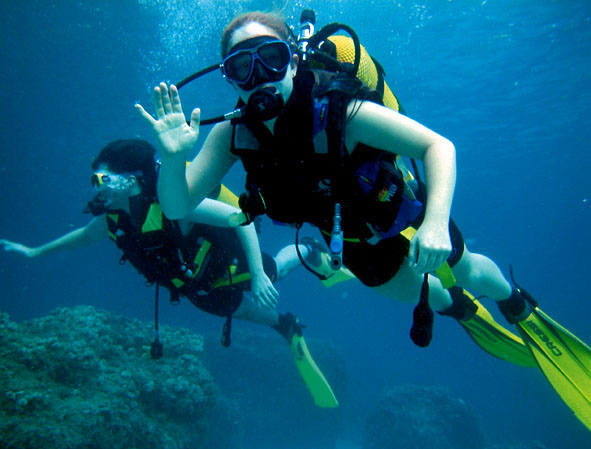 Scuba diving, sailing, angling, canoeing, yachting, water skiing, and parasailing are some of the most commonly enjoyed water based adventure activities in India. Starting from meandering streams and waterfalls in Kashmir to the mesmerising pelagic life of Andaman and Nicobar islands or the cult beaches of Goa to the shores of Kanyakumari, India offers all sorts of water adventure. Auto rickshaw rampaging is the best way to see India. Classic Run, Mumbai X press, Tamilnadu Run, Deccan Odyssey, Tech Raid and Malabar Rampage are the popular auto rickshaw rampaging challenges in India. Imagine crossing paddy fields and vast stretches of land in multi-coloured autos. Indian IT companies also organise the Tech Raid, and the other tours are open to all. Started in 2006, it has gained much attention from both national and international adventurers. A team of 1-3 people can take this challenge through an appointed route. Unlike motorcycling tours, this tour is more challenging as the speed limit is constricted. But what makes this adventure sport exciting are the charities and other social activities involved during the journey. Charity is an integral part of this rampaging tour. Fund raising, construction of schools for underprivileged children, and many other social activities make this adventure sport, a wonderful experience. Cycling is good for health, but when it comes to cycling in the hilly terrain of the Himalayan range or the dry territories of Rajasthan; cycling becomes an adventure. Mountain biking is also one of the popular and ironically underrated adventure activities in India. Peddling through the desert or rocky passes is an experience in itself. India’s geographical location is very tricky and offers some of the most challenging tracks for mountain biking. Himalayan ranges and mountain areas of Kerala are the most widely paddled terrains in India. Bangalore, the IT hub of India, is also an ideal place for mountain biking sports. Every year, the Himachal Mountain Trail Biking organises an eleven-day cycling tour of Shimla. Thousands of mountain biking enthusiasts, from all over the world participate in this event. India offers the best heli skiing experiences in the world. Skiing in Kashmir is said to be the best and one of the most pleasant skiing experiences in the world. Heli skiing is also becoming rapidly popular among all the adventure sport lovers across the globe. Beautiful and exotic Kashmir and Manali are the best destinations for heli skiing. 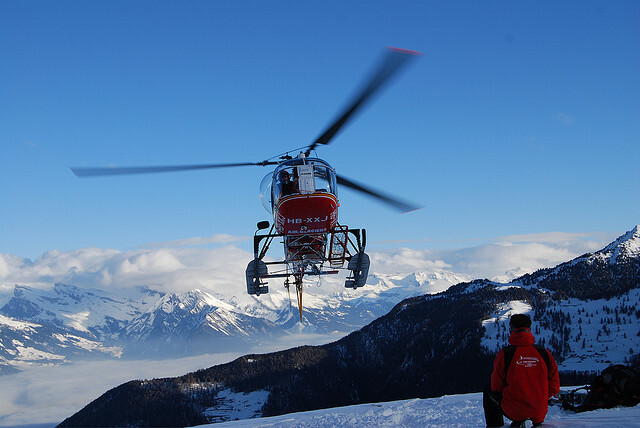 Heli skiing is a wonderful way of exploring the locations that cannot be explored normally and are very tough to reach. A helicopter drops skiers to skiing spots, and there onwards, skiers have to find their own ways through the steep slopes of snow covered mountains. It is the best way to explore the unadulterated beauty of the snow-covered mountains. Rohtang Pass, Chanderkhani Pass, Hanuman Tibba, and Deo Tibba are some popular spots for heli skiing adventures in India. Camels, often considered as the ships of the desert, are one of the best ways to experience the beauty of the desert safari. 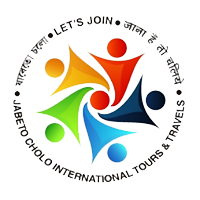 The options include half-day, full day, overnight tours with tent accommodation and general tours. These tours offer enthralling opportunities to see the sun rising and setting in the sand dunes of Rajasthan. 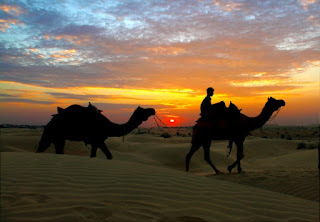 Pushkar village is extremely popular for camel safaris. While talking about camel safaris, Ladakh cannot be left out. This might sound quite strange to some but camel safaris are also very popular in the Ladakh valley. Whether it is a desert or a dry snow covered region, camels can adapt themselves very well in all conditions. Riding on a yak and discovering the picturesque beauty of Ladakh is a unique way of mountain touring. Of all the adventure activities in India, the yak safari is the popular choice. In order to enjoy yak safaris, bookings have to be done in advance. Floating in the sky is one of the best ways to admire the beguiling beauty of nature. 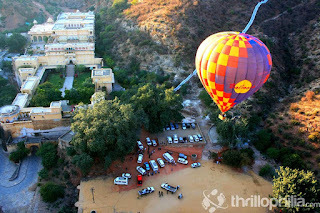 Hot air ballooning is becoming on of there are more popular adventure activities in India. It is an ideal way to feel the solitude above the ground. Hot air ballooning gives a bird’s-eye view of a place. Rajasthan is the most sought after destination for hot air ballooning in India. While on a hot air ballooning tour in Rajasthan, the adventurer gets an opportunity to observe the magnificence of Rajasthan. 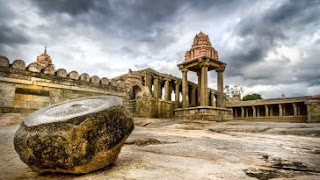 These tours normally start from Pink City, Jaipur and head towards Pushkar. The world famous Pushkar Camel Fair and exotic wildlife adventure in Ranthambore National Park can be viewed while on these tours. October-March is also the best time for these tours.